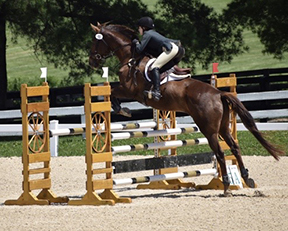 Emma is a C-2 Traditional member of Keeneland Pony Club in the Midsouth Region and has been a member of the United States Pony Clubs, Inc. for 10 years. She began competing in Tetrathlon when she joined and her favorite phase of Tetrathlon is Swimming. Emma’s best Pony Club memory is of making new friends at Pony Club Championships every year. She is looking forward to training with the USPC Tetrathlon Team and getting to know everyone during the 2018 International Tetrathlon Exchange!